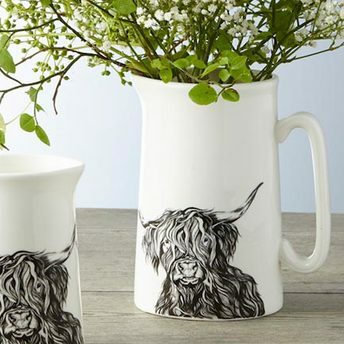 This 2 pint Bone China Jug featuring, Bonnie, the Highland cow, is a must have for any country home! 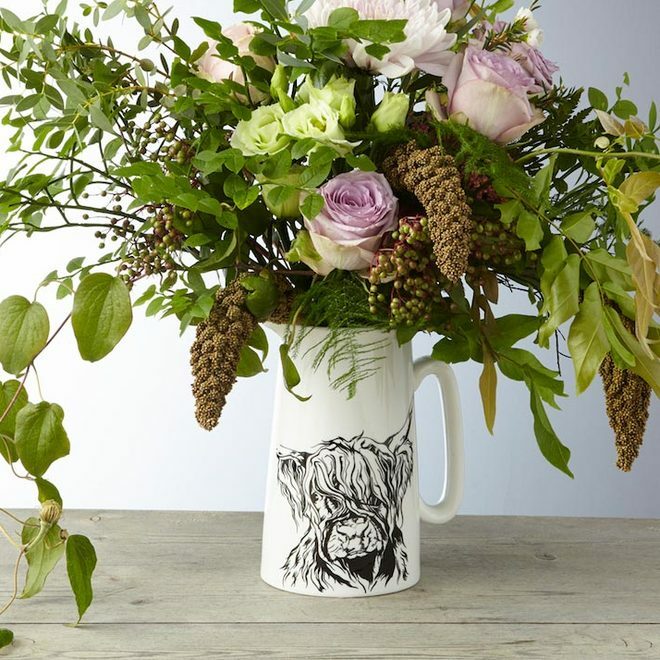 This chic pitcher is not only perfect for serving your milk but also makes a beautiful vase to display flowers, tidy kitchen utensils or even hold your paint brushes! Whats more, she's microwave and dishwasher safe so practical as well as beautiful! 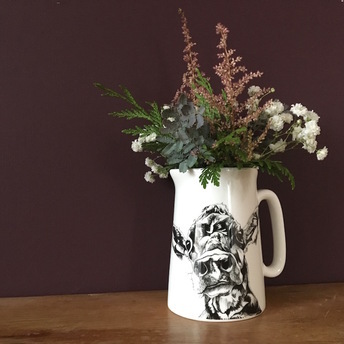 A great wedding or housewarming gift. Hand made in the UK (holds a proper Stamped with the LT seal of approval.